Wear this classic hat whether you're walking on forest paths or city streets—it can take you everywhere in style. It's a quick knit that keeps your interest with just a little bit of lace and a lot of texture. Love Aran knitting but not ready for a sweater yet? Play with texture and openwork stitches in a small project reminiscent of Aran motifs. Once the weather turns chilly, you'll grab this hat every day. Order your Leaf & Seed Hat Mittens Kit today! Autumn was made for knitting. Our Fall issue wraps you in style every day of the season, whether you're walking to the office, hiking, or lounging by the fireplace. 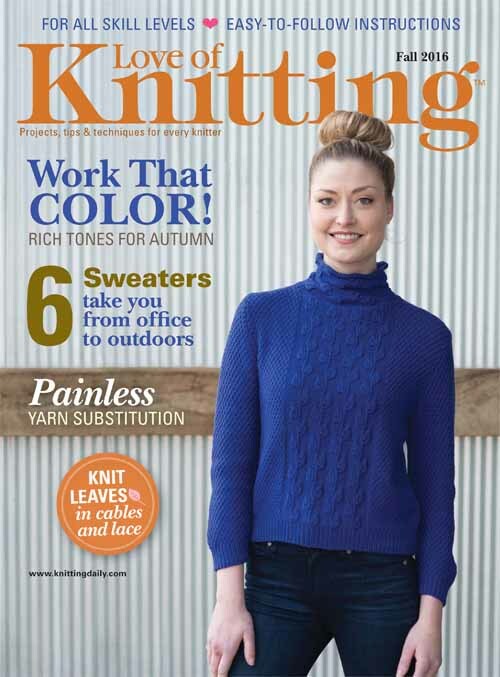 You'll love knitting for everyone in the family, with garments and accessories for women, men, and kids. Learn all the secrets for yarn substitution and crack the code of cable charts. Get your copy today! 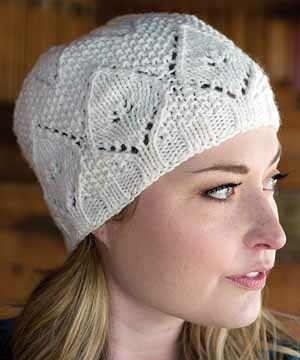 You'll love knitting this pretty hat, with its lacy motifs and textured stitch patterns. It's the perfect project if you're new to reading charts or want to move beyond stockinette stitch. Work leaves on the bottom edge, a basic seed stitch in the middle, then a simple flower on the crown for a hat with timeless appeal. Finished Size: 19 (21½ )" brim circumference and 8½ " tall. Hat shown measures 19". 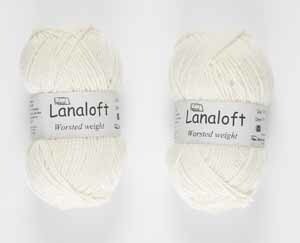 Yarn: Brown Sheep Yarns Lanaloft Worsted Weight (100% wool; 160 yd [146 m]/3½ oz [100 g]): cottage white, 1 (2) skein(s). Needles: Size 5 (3.75 mm): 16" circular (cir) needle. Size 7 (4.5 mm): 16" cir and set of double-pointed (dpn). Adjust needle size if necessary to obtain the correct gauge. Notions: Marker (m); tapestry needle. Gauge: 18 sts and 26 rows = 4" in lace patt on larger needles. Soft yarn with great stitch definition produces a terrific hat with Brown Sheep Company's Lanaloft Worsted. A light color shows off lacy and textured stitches to perfection. You'll love how these 2 balls of yarn feel in your hands and on your head.